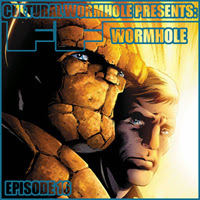 In this episode of FF Wormhole we take a look at the Fantastic Four books in the Month in F for May 2013, plus we go back to the past for more classic issues in Doctor Doom's Time Platform. Month in F - May 2013 - FF #7 and Fantastic Four #8. Doctor Doom's Time Platform - Fantastic Four #30 and Fantastic Four #31.